The most challenging role of the RuneScape is to craft, and many players do not know about the crafting methods. However, we will discuss all the levels of crafting, and it will help you in during the game. Let us start the 1-99 crafting guide. Note: You have to focus on all the level to become a pro. 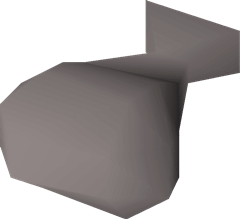 Osrs has 99 levels of crafting we cannot discuss all in point. Let us discuss them according to their similarities, start from the level 1-7. In these levels you will learn to craft leather gloves, crafting requires resources before crafting you have to collect all the resources for crafting leather gloves. The things you need to craft leather gloves is a piece of leather, thread, and needle to sew the leather. After collecting all the items, you have to use your needle on the piece of leather, and then you will see a glove icon. Select the glove icon and leave the rest of your character; it will make all the leather pieces into gloves. These levels of crafting can provide you 26k xp/hr. Now, Osrs crafting guide f2p (Free to Play) will discuss the levels to craft gold and make your inventory shiny. To craft gold bracelets you have to collect the resources first, to craft gold bracelets you only need shiny gold bars. Use your gold bar on the furnace and a landing page will occur now select the number of gold bracelets you want to craft. Gold bracelets take a while to craft so wait. With the help of this osrs crafting guide, you can craft gold bracelets, and you will get 40k xp/hr. The first 20 levels give less experience let us start with something fast. In this RuneScape crafting guide, you will learn to craft Sapphires you can call it cutting of Sapphires as well. You will be cutting sapphires from level 20-46; the crafting of Sapphire requires some necessary resources. Many sapphires and a chisel. Now, the process starts you have to use the chisel on your sapphire, select make all and leave the rest to the Artificial Intelligence of the game. After reaching level 46 now, you have three options you can choose the cheap, moderate or expensive methods of crafting. The expensive method will boost the process, and it will finish quickly. Crafting of Sapphire gives many experiences you can get 125k xp/hr. This osrs crafting guide f2p will discuss the cheap, moderate and expensive level as well because they are the part of the leveling system of crafting. This osrs crafting guide f2p provides cheap methods of crafting. In this cheap method, you will make unpowered orbs. To craft orbs, you need to collect resources first, glassblowing pipe and some molten glass are the resources of unpowered orbs. To make the unpowered orbs, you have to use your glassblowing pipe with the molten glass. You will see an orb section in the user interface. Stay in that section and leave the rest to the Artificial Intelligence of the game. This cheap crafting method provides 80k xp/hr. You are so close to the ending of the crafting methods (cheap). Now, from 87 to 99 you will make light orbs. It will be an easy method because it is almost similar to the previous cheap method. You again need glassblowing pipe and a multitude of molten glass. Adopt the same process you did in the previous method. It requires just one simple change. Instead of selecting unpowered orbs in the user interface, you will be selecting Dorgeshun Light Orbs. It is an effective crafting method and gives 120k xp/hr. This level is the alternate method of the first cheap method. The difference is it will cost more, but the whole process is the same. You will get the same experience the difference is the whole process will complete earlier. It is better to use the cheap method for the crafting of the unpowered orbs. Let us complete the medium methods. It will differ from the previous method because in this method we will craft air battle staves. To craft air battle staves you will need to collect battle staves and some air orbs. To attach these two things, you need to go to the bank option and have to withdraw 14 unnoted battle staves and 14 unnoted air orbs. Now, combine them and leave the rest to the game. This common method is advantageous because it provides 350k xp/hr. It is also the same method as before. Check the previous simple way of crafting it requires sapphire, the same resources, and the same process. The difference is the process will complete faster because they spend more. You will get the same xp/hr like the standard method. Now, this method will worth expensive because in this method you will craft green dragonhide bodies. To complete this crafting method, you need few resources such as a needle, some thread, and a few green dragon leathers. 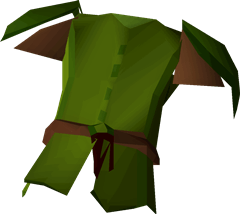 Now, the next process is a piece of cake for you because select the needle on the green dragon leather and it will make all green dragonhide bodies. Repeat this process until it satisfies you. You can get 300k xp/hr by using this expensive method. Until level 84, you will craft blue dragon hide crafting. It is the same method as the previous one. You need the same resources instead of selecting the green dragon leather you have to choose blue dragon leather. Then repeat the same process. You can get 350l xp/hr it is a little more than the previous method. Now, you are standing at the end of the guide. The last level of crafting is also comfortable because it is also similar to the previous ones. In this level, you are crafting black dragonhide bodies. You need the same resources just the change the leather to black dragon leather, and here you go. You will get 430k xp/hr. End of the 1-99 crafting guide, hope you have learned a lot from it. If you want to buy some OSRS Gold to speed up the process, or if you want to find a good osrs crafting service provider, then you can choose us. We have been working hard to complete your Runescape needs. Including but not limited to Gold, Items, Accounts, Boosting, Quest, Gold Swap. Please let we know if you have any problems. We have been working hard to complete your Runescape needs. Including but not limited to: Gold, Items, Accounts, PowerLeveling, Quest, Gold Swap(Exchange). Copyright © 2008-2019 rsmalls.com All rights reserved.